The IPS-30 Wi-Fi USB Wall Adapter Pro is a compact surveillance tool that looks and works like a normal USB wall charger. It records full 1080p HD video and you can livestream all your videos online using your smartphone, tablet, or computer. It’s perfect for protecting yourself against theft and unwanted intruders, keeping an eye on your loved ones or an employee such as a nanny or a housekeeper. 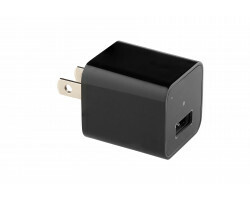 Watch over your home or office 24 hours a day with the IPS-30 Wi-Fi USB Wall Adapter Pro. Just like a normal USB cube, this small device fits in the palm of your hand. You can toss it in your bag if you want to record video in multiple locations throughout the day. Just plug it into the nearest wall outlet and no one will have any idea that you’re recording video. If someone is doing something inappropriate on your property, you can capture all the evidence without anyone being the wiser. 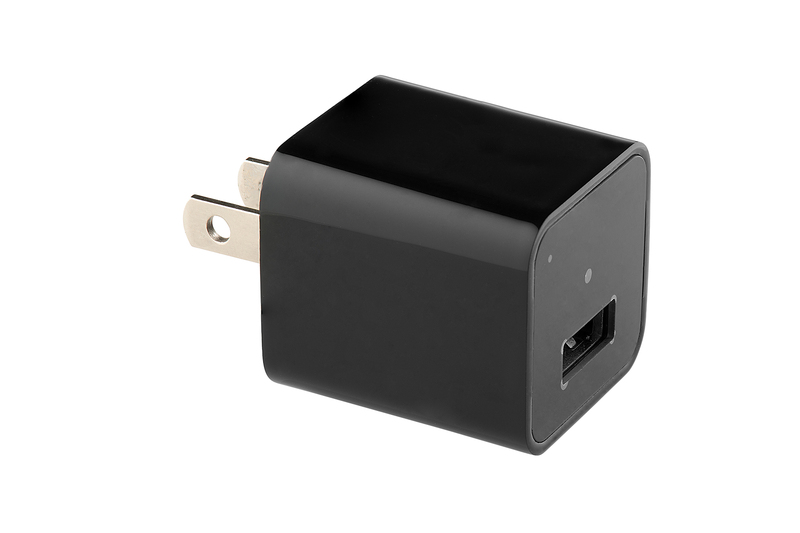 Despite its small size, the IPS-30 Wi-Fi USB Wall Adapter Pro records full 1080p HD video. It captures faces and other small details clearly from across the room. You don’t have to worry about dealing with blurry or lackluster footage. Just point the camera towards the door or the nearest exit and you’ll be able to see exactly who’s coming in and out of the room. If you have access to Wi-Fi, you can livestream all your videos online using your smartphone, tablet or computer. The camera comes with a free app that you can download on your Apple or Android smartphone or tablet. Once the app is connected to the camera, you can view, manage, and download your recordings from anywhere in the world. If you’re traveling, you can always check up on your property in real-time. The camera also comes with motion detection, which means that the camera will start recording automatically as soon as it detects motion in the room. The camera will then send you a message on your smartphone, tablet, or computer, letting you know that someone or something has moved. As soon as you see the message, login to the app to see what’s going on in real-time. If someone is sneaking around without your knowledge, you can quickly alert your loved ones, a colleague or the local authorities. When it comes to covert surveillance, you shouldn’t be constantly messing with the camera. Luckily, the IPS-30 Wi-Fi USB Wall Adapter Pro plugs directly into the wall, so you never have to worry about recharging the battery. You can also start or stop a recording on the app using your smartphone, tablet or computer. If something catches your interest, just open the app and you can start recording without bringing attention to yourself. If you don’t have access to the Internet, you can record directly onto the camera itself. You can store up to 16 hours of HD video on the device when you purchase a separate 64GB memory card. When the memory card fills up, just plug the camera into your computer using a USB cable. You can then transfer and manage all your files in just a few seconds. Extremely compact and easy to use, the IPS-30 Wi-Fi USB Wall Adapter Pro is a great choice when it comes to personal surveillance. It only takes a few minutes to set up. Just plug it into the nearest wall outlet, connect to your local Wi-Fi network, and you’re ready to start recording. Protect what’s most important to you with the IPS-30 Wi-Fi USB Wall Adapter Pro.